Imagine my delight when my roomie Sarah told me about an event at Gold Star Beer Counter in Brooklyn! 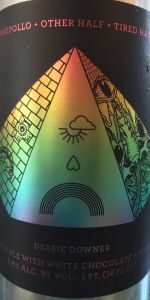 As a native Chicagoan, she was excited to see that they were celebrating the debut of Rainbow Never Ends, a double IPA brewed collaboratively by Chicago’s Half Acre and Brooklyn’s Other Half. As Other Half happens to be one of my favorite breweries, I couldn’t resist. Even better, my two other roomies agreed to come along! Gold Star Beer Counter is an adorable bar. As you can see from the picture above, it was full to bursting when we arrived. We still managed to weasel our way up to the bar to get our first beers of the night. Eventually, the crowd parted and we were able to snag one of only three tables. I think the beer gods were listening to me; moments earlier, I’d been complaining that I had nowhere to set down my beer so I could take pictures. Note the crowd, and the bottles! All the bottles! Sarah started out with Rainbow Never Ends, since it was the belle of the ball that night. It was a nice double IPA full of hoppy goodness, and deceptively light for an 8.5% beer. It ended on an herbal syrupy note that wasn’t overly bitter. Delightful! My own beer was also a delight. Since I’d never had Half Acre’s beers before, I decided to start off with their Freedom of ’78. This IPA was brewed with guava – if you have an IPA brewed with tropical fruit on your menu, you can bet I’m going to order it. There was so much guava in this, you guys. It was essentially a hopped, alcoholic guava soda and I loved it. That’s the Freedom of ’78 in front, and the Rainbow Never Ends in the background. At this point, Sarah and I were getting peckish. Beer cheese to the rescue! Even better, it was made with Daisy Cutter, Half Acre’s flagship pale all. It was indeed very beery, a little spicy, and wonderfully delicious. It was also served with an entire sleeve of Ritz crackers for only $6! And that, my friends, is called winning. At that point, my two other roommates decided to be responsible adults and call it a night. Sarah and I decided that we had more beer to drink! I stopped taking notes at this point, so I can’t say much about the other beers we tried. However, I did have a sip of Other Half’s Peachwood Aged, which was very surprising. It tasted like peaches, champagne, and diamonds. Just one sip made me feel like I was dripping in jewels. We ended up befriending the people next to us, and they very kindly let us try some of their beers. At one point, they left a full bottle of stout sitting on their table while they all drunkenly migrated to the bar. I may have stolen an extra pour or two. My beer-thieving ways are usually a sign it’s time to go home. So after making a few more friends, off we went to the subway! One ill-advised (but amazing) pizza stop later, we were home. Another night of wonderful beeriness accomplished. Miraculously, I even avoided impulse-buying any bottles – although I can’t promise that it won’t happen in the very near future. Note to self: when attending beer festivals with unlimited samplers, keep in mind that you are a lightweight. If you don’t, and end up having over 40 five-ounce glasses in three hours, you will end up sobbing into a slice at Two Boots Pizza. At 4:30pm. On Halloween. And that is the ugly truth, my friends. I went into last October’s NYC Craft Beer Festival with the best of intentions. Having volunteered the night before, I was pleasantly surprised with a VIP pass to the next afternoon’s session. It was Halloween, but no big deal, I figured. Since the session started at 1pm, I’d have plenty of time to pace myself, try some good beers and sober up enough to go out with my friends that evening. Downside to being a volunteer = not being allowed to taste the beer you’re serving. So I was extra excited to gain entry the next day. You’d think I’d know myself better by now, especially when the VIP pass allowed me an extra hour of drinking (An extra hour to pace myself, I thought naively). We also had access to a curtained-off lounge. As soon as I walked in, I noticed a sign leading to secret area. They didn’t do a great job of keeping it secret, tbh. I asked two people about it: one claimed you had to pay extra, the other said you didn’t. I decided to try my luck – the worst they could do is kick me out, right? So in I went, immediately recognizing two other volunteers. Surely that must mean I’m allowed to be here! Sitting in front of me was a dream: a line-up of ten or so bottles of beers I’d never tried before, as well as Dieu Du Ciel’s Pêché Mortel! I immediately goaded my friends into trying it (I can’t hide my Montreal pride) and proceeded to taste as many beers as I could. Eight months later and I’m still drooling over that Troy cider. After six or seven samples, another volunteer appeared and proclaimed that we needed a special armband to be there – which I decidedly did not have. Whoops! I grabbed one last sample from the bartender and quickly made my exit. By that time, I was tipsy. I continued on with my volunteer friends for a while. Let me tell you, it’s not easy keeping up with two dudes over six feet tall when you are definitely not one. But all that beer was just so tasty! By the time we were ushered out so the next sessions could start, the whole world was a blur. Obviously, I did not make it to my Halloween party that night (see above RE: crying into pizza). But at least The Dude abides, as he always does. Two Boots’ artwork definitely cheered me up. My recommendation? Bring a buddy who can drink at least three times as much as you can. Especially if that buddy comes with coffee. That’s what I did for February’s Extreme Beer Festival in Boston. I decided to accept that as a lightweight, I probably shouldn’t finish any beers that I wasn’t absolutely in love with. Beer Nerd Boyfriend was there for that. I was prepared to be the Robin to his beer-soaked Batman. As we stood in line before the start of the festival, I thought I was ready; I had mapped out the bathrooms, we had a list of priority beers, I made Nick promise we’d stop for food after an hour or two. And then it all went out the window as soon as I walked in the door. 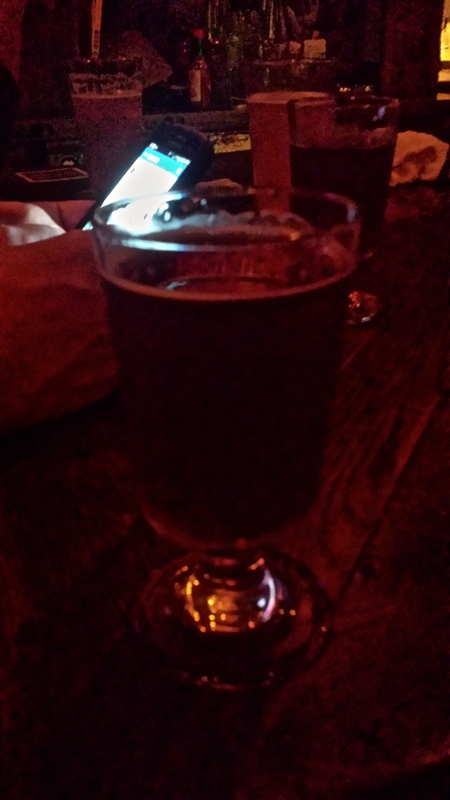 I was surrounded by taps, excited beer nerds, and some of the weirdest stuff I’d ever seen – peanut butter beer? Barrel aged everything? TOMATO GOSE? That Tomato Gose was from these guys, and it was delicious. Before I knew it, I was tipsy turvy at 4:30pm again, eating nachos at a nearby pub and embarrassing Beer Nerd Boyfriend with my public declarations of love. The face of shame (note how it’s still light outside). Was it all worth it? Hell yes. But I like to think I learned my lesson. Maybe. How about you just ask me after the next beer festival? N.B. I’m all about moderation and definitely don’t condone drinking like this all the time. Or even most of the time. Two times a year is pretty ideal, actually. And please, for Pete’s sake, never drink and drive! Pete will thank you later when you call him an Uber. 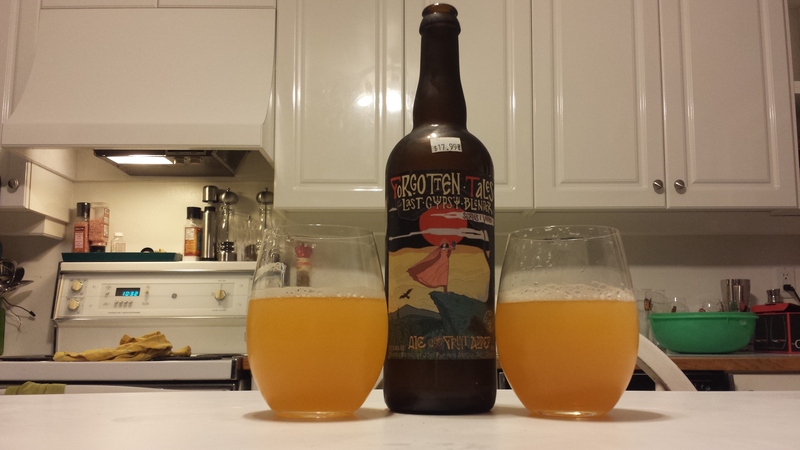 To tide you over until I can post a full article, here are short reviews of two beers from Oddside Ales in Grand Haven, Michigan. We didn’t have the time to stop by their brewery on our trip, but managed to grab a few of their bottles in Kalamazoo. 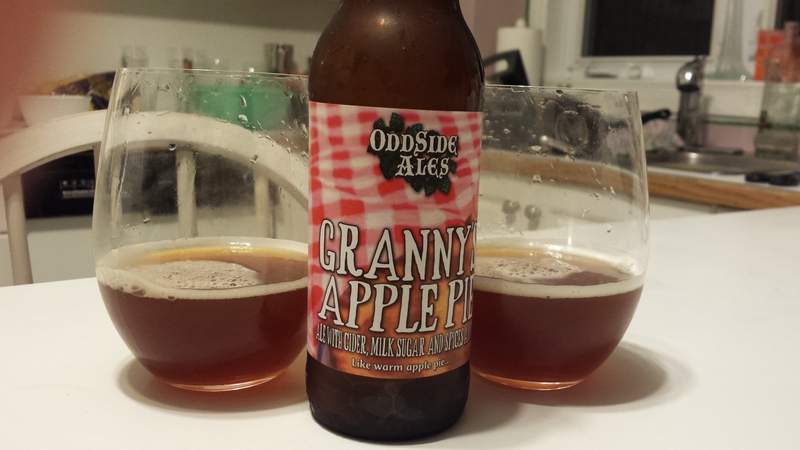 You may remember their Granny’s Apple Pie beer from my beer haul post last week. The following two beers are also part of their usual line up. The first thing I love about this beer is the bottle. 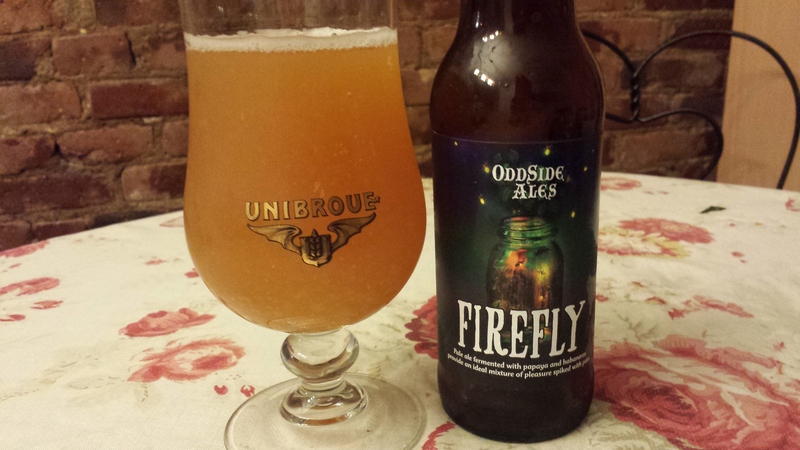 All Oddside Ales beers have taglines of sorts, usually a description of what’s in the beer. This one, however, simply reads “The arsonist has oddly shaped feet.” This beer is absurd, and I love it! The beer itself isn’t quite as distinctive as the bottle, but still quite tasty, easy drinking. There’s lots of coffee on the nose. The taste is of a lot of coffee, a bit of chocolate, and a little metallic tinge. It is very drinkable! This unique pale ale is brewed with papaya and habanero peppers. I was a little hesitant off the bat, because it seemed like my bottle had a lot of debris in it – but I decided to go ahead and taste is anyways. 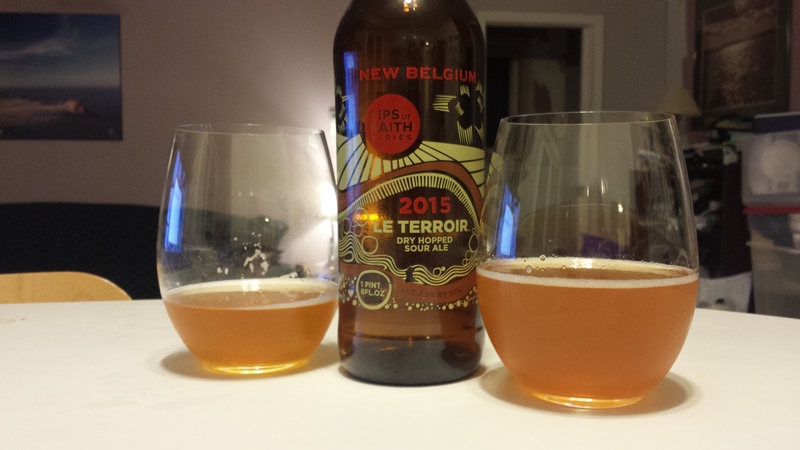 It still had a lovely aroma, full of citrus, papaya, and grassy hoppiness. It tasted just fine! Very strong papaya and citrus notes, along with a subtle burn that builds, and a light bitterness. Whatever was in my bottle, it didn’t seem to impact the taste at all. Stay tuned next week for not one, but TWO new articles! I’ll update this on a regular schedule someday, I promise. It’s been quite the week for your favorite Beer Intern! I’m typing this up a little later than expected (it’s still technically Thursday, right?) because I’m still recovering from the incredible weekend I had. 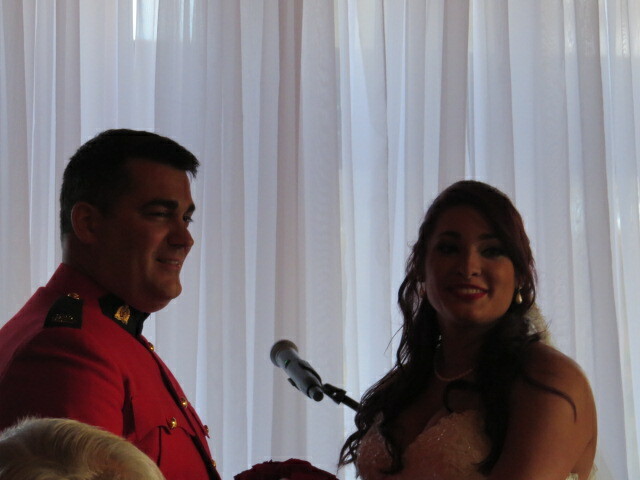 Last Saturday, I joined my family in celebrating the wedding of my cousin Ally and her now-husband Jason at the gorgeous Mont Tremblant in Quebec. We spent the weekend drinking, dancing and eating too much – basically, all the things you’re supposed to do at a wedding. But before we kicked off the wedding weekend, Beer Nerd Boyfriend and I had a day to dive into our stash of tasty treats. Some of these beers were leftovers from our Michigan trip, and some I had just picked up at Prospect Heights Beer Works, my go-to bottle shopping spot. 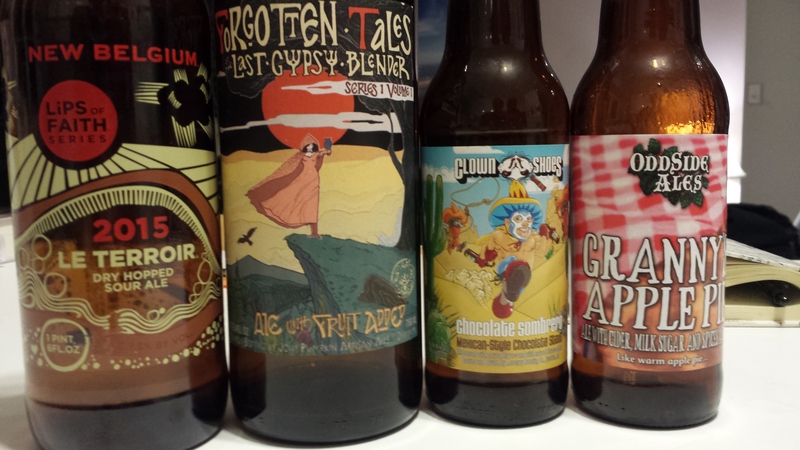 Without further ado, here are some short reviews of what turned out to be a very excellent beer night. All of that is right there, both in the aroma and the taste (including the wrestler). The mouthfeel is beautifully thick, and intensely chocolatey. 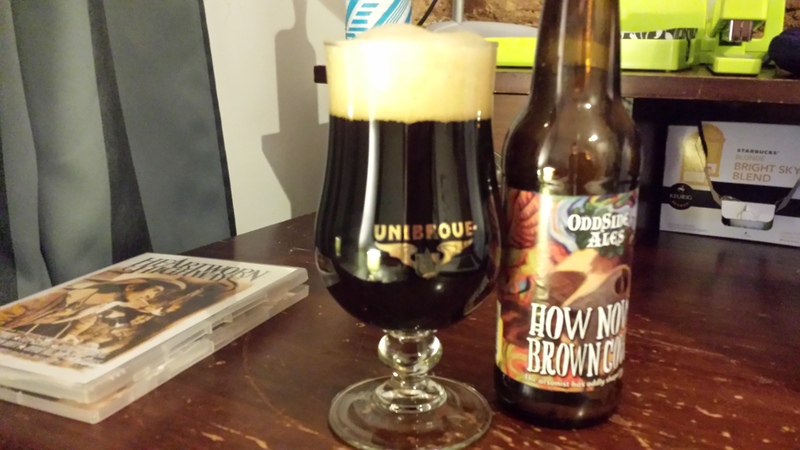 The spice and vanilla build gently, and the cinnamon is both very present and very delicious. This is just such a fun beer! The last beer on our list was from Odd Side Ales, a brewery we didn’t have time to check out on our travels through Michigan. It’s an ale with cider, milk sugar and spices. 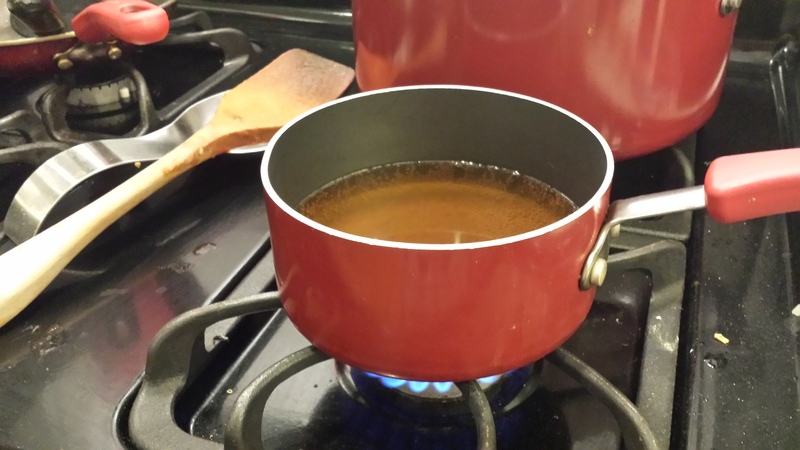 The color is murky brown, exactly like fresh cider. It smells like a lot of apple, cinnamon and booze. To me, it tasted about the same. Strong on the apple, a little floral, lots of spices and vanilla, some crust-like stuff in the middle along with an astringent finish. Not my favorite beer of the night, but then again I’m not a huge apple pie fan. It did a fine job of replicating all the right flavors of a fall favorite pie. If you love apple pie, you’ll probably like this. There you have it, an evening’s worth of delicious beers! And now I’m off to nurse my still hurting legs – that DJ was serious business. Trust me, dancing was mandatory at this wedding. Sometimes I forget where I live. Even after a year, it’s still weird to think that I can hop on a subway train and arrive at Times Square less than an hour later. Weird that I’ve been (unsuccessfully) attempting to get rush tickets to Hamilton, a probable 2016 Tony-Award winner, with a friend on a weekly basis. This week, it was nice to be reminded why I love this city so much, even if it’s big and loud and cluttered and dirty and sometimes more than a little smelly. 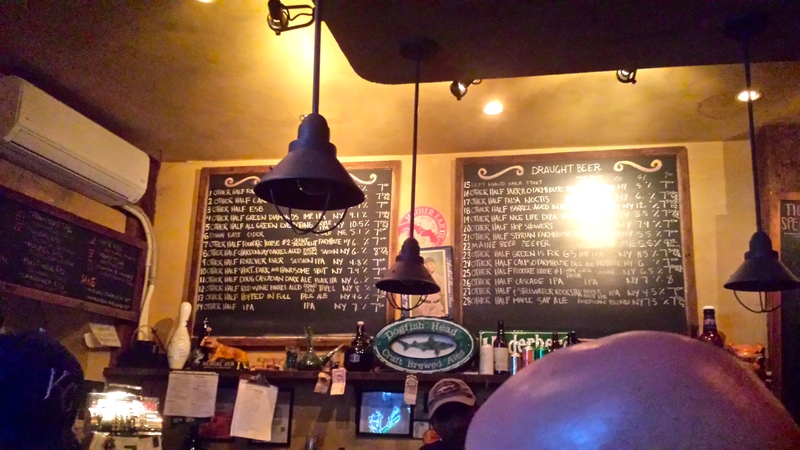 On Wednesday evening, I decided to venture out to Greenwich Village by myself to check out Blind Tiger Ale House, a bar I’ve been meaning to check out for a long time. It’s just one of those craft beer places that seems to show up on every single list of best bars in Manhattan. The deciding factor yesterday was an Other Half Brewing Company event. 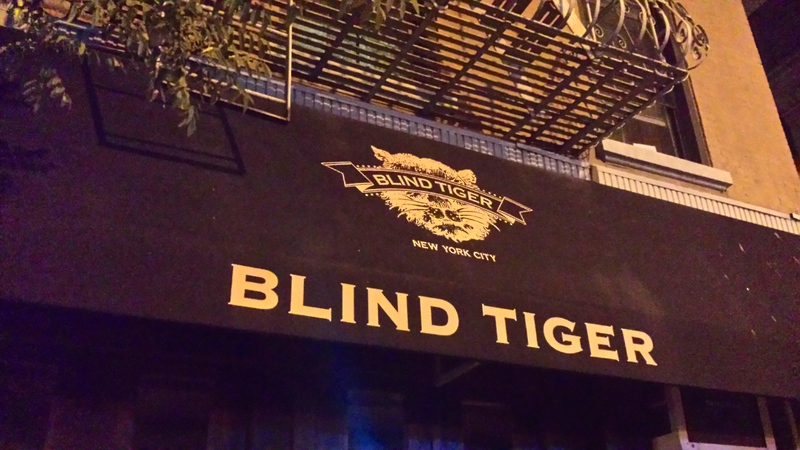 A ton of their brews would be available on tap at Blind Tiger – 27, to be exact. I’ve only tried a few of Other Half’s beers, but they’ve all been stellar. Considering this brewery is still less that two years old, I made attending this event to try a couple of pints a priority. (Ironically enough, Other Half’s brewery is actually located in Brooklyn, about three subway stops away from my apartment.) By the time I made it over to Blind Tiger, it was PACKED. I had expected it to be full – even if it is lower, it is still Manhattan, after all – but this was nuts. It was an adventure just to get near the bar, and even more so to put in a drink order. I decided to pick the beer I wanted most, and go from there. All the beers on that list are from Other Half. Bald head not cropped because it’s hilarious. That beer was the red wine barrel-aged Grand Cru Tripel, quite a heavyweight at 8%. Although it was very dark, I noted the deep red hue. The aroma was heavy on the berries, with a bit of wine-like tartness and perhaps a lingering hint of banana and spice. It was a delicious beer; starting off with the taste of dark red berries and a little bit of wood and a slow but steady build-up of robust red wine and booziness. It had a bitter, dry finish. Another one knocked out of the park by Other Half, as far as I was concerned. A terrible attempt at photography in a dark, crowded space. Shout out to the guy on the phone for letting me perch on the corner of the bar. After my beer, I decided to go outside to regroup. I had had the intention of trying a few beers, but I hadn’t banked on it being quite that busy (a silly move). So, already a little tipsy (I’m a lightweight, what can I say), I started to wander around Bleecker Street, just for fun. Luckily, I found an open bookstore right around the corner. 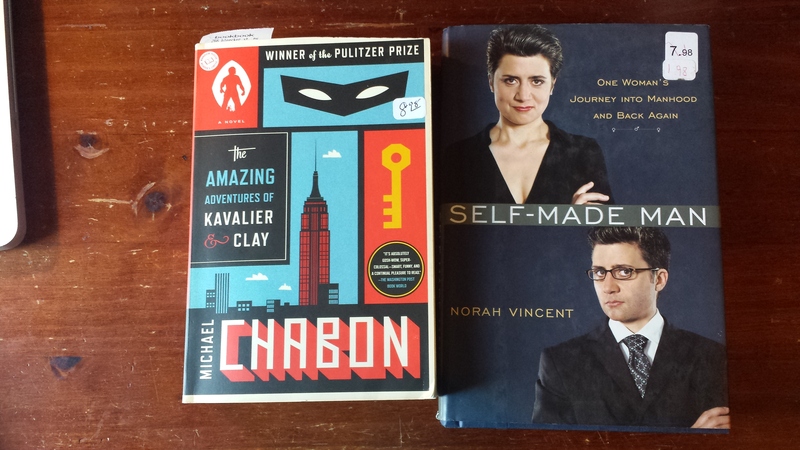 Since my defenses were down and I have an addiction to bookstores, I left with a couple of purchases. Guess which one was the true impulse buy. 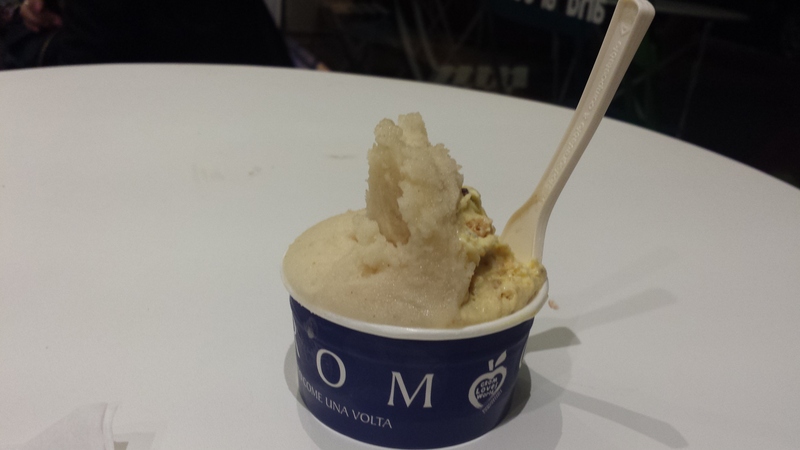 Then, I had gelato for dinner at GROM, a little shop that had caught my eye on the way to Blind Tiger. Although it was quite pricey for such a small serving, it was fortunately very delicious. My particular favorite was the lemon and ginger sorbet, which wasn’t overly sweet and definitely made the ginger the star of the show. Then, I just wandered around, taking in the night and the noise until I retreated back to Brooklyn. Even though the night didn’t quite go as planned, I still had a great time and got to try at least one new, delicious beer. After a long summer in Ottawa, I just found myself feeling like I was back in my element, back in this crazy place. And without a doubt, Other Half’s brewery will be one of my stops in the near future! 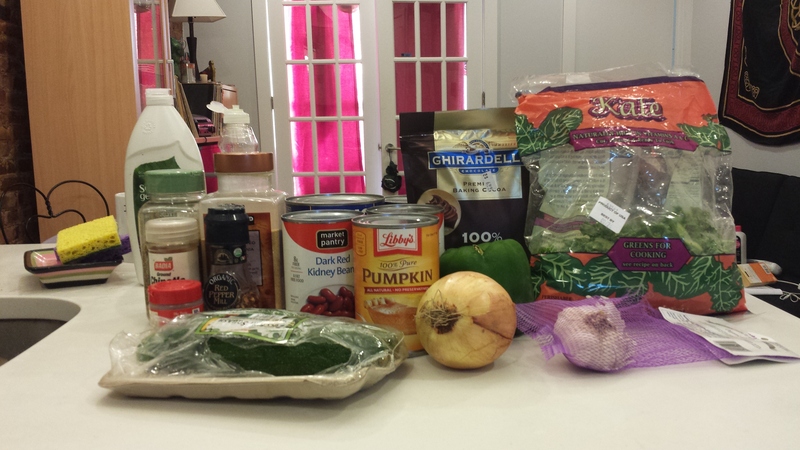 So last weekend I commenced Operation PUMPKIN EVERYTHING. 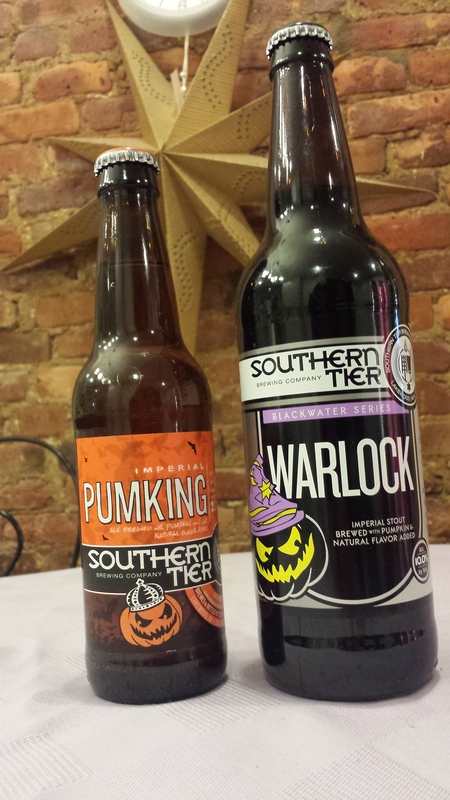 I started by picking up two seasonal beers I know are quite widely available and beloved; Southern Tier’s Warlock, an imperial stout, and the Pumpking imperial ale. The Pumpking is a little too sweet for my tastes, but I figured it would be perfect for use in a dessert. First of all, I had to make a main course. 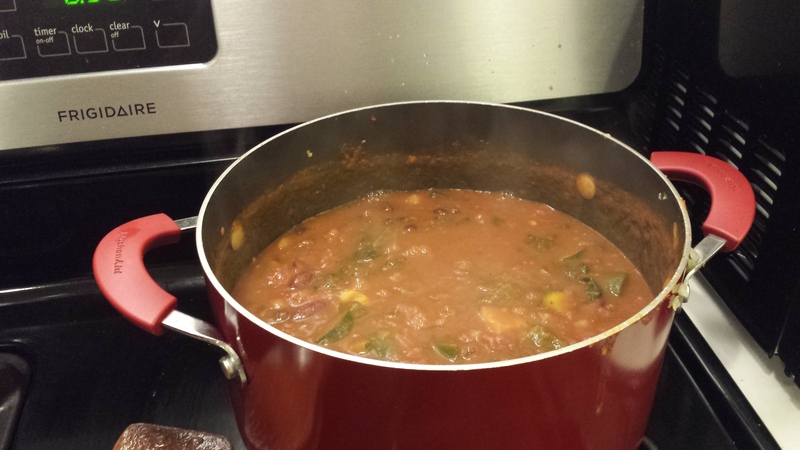 I decided to go for the ideal fall meal – a hearty vegan chili, made with the Warlock for some extra warmth. I based myself on this recipe and improvised based on what I had. Zucchini? Kale? Extra cocoa? In the pot it went! Well, everything except the dish soap in the background, that is. Since I’d bought a large bottle of the Warlock, I had some leftover. Not a problem. I do quite like the Warlock. It’s strong on the pumpkin spice, molasses and booze on the nose. The taste reminds me of a cup of coffee with some of Starbuck’s pumpkin spice syrup mixed in. 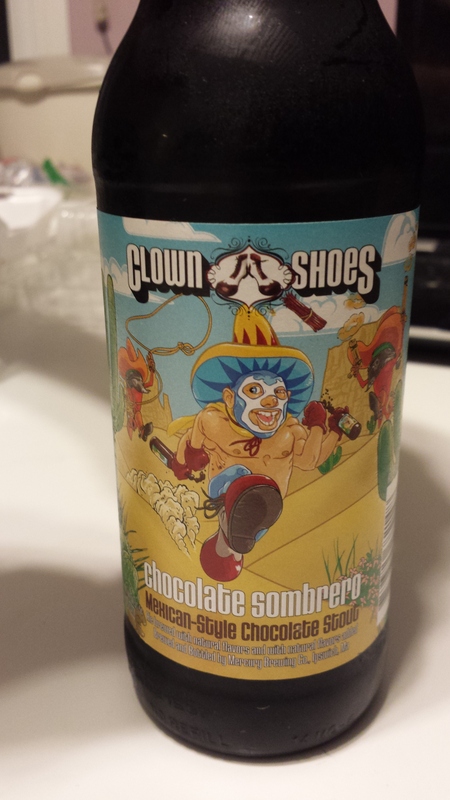 It also masks the fact that this is a 10% beer – maybe a dangerous choice for my baking exploits, but a tasty one nonetheless. 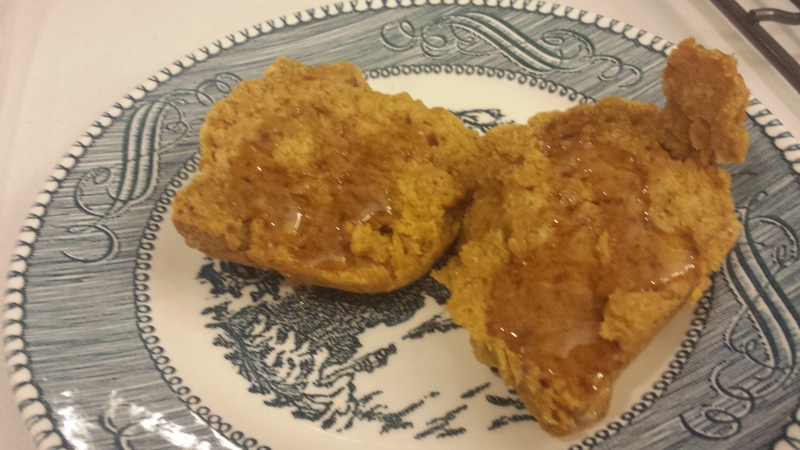 While the chili simmered away, I put the Pumpking to good use and began making this pumpkin bread. It ended up much more bread-like than I expected, although this may be due to the vegetable oil I used instead of the butter. Even with the intense sweetness of the Pumpking, the bread itself wasn’t sweet at all. However, it was quite tasty when it came out of the oven, drizzled with a bit of honey. Next time, I’d double the amount of pumpkin, and probably add a touch more sugar. When I get excited about baked goods, I take blurry pictures. The chili turned out great – I may have been a little overzealous with the cocoa but the pumpkin came through loud and clear, and the Warlock added a little more depth to it. Not at all a bad way to use up some veggies that were starting to look shady! And with that, my pumpkin cravings were satisfied.